Videos! - The Odyssey² Homepage! Promotional videos, TV commercials, gameplay clips, and more... this page serves as the repository for all the vintage Odyssey²-related videos I've been able to find. Many of these come from old videotapes that I digitized myself, while others turned up on YouTube or other sites. Enjoy! All of these clips are copyrighted by their original owners and are presented here for archival purposes only. The Odyssey² Homepage! makes no claims of ownership. No infringement of copyright is intended and any and all clips will be immediately removed at the request of the copyright holders. Only vintage videos, produced in the era before YouTube, are included here. Of course, there has been no shortage of interesting (or not) Odyssey²-related "retrogaming" videos produced in recent years. Try searching YouTube for these if you're interested. The videos are organized roughly by date of origin, although some dates are estimates. 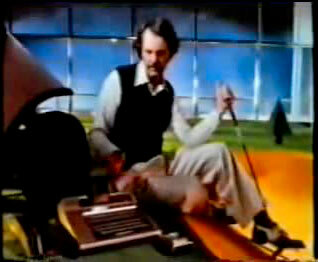 Many of the commercials and CES promo videos were originally provided to me on videotape by Jayson Hill. René van den Enden provided the Trans American Rally clip. Many of the clips from other sites have been cleaned up, but a link back to the original will be provided if it's still available. Odyssey² Commercial Featuring Computer Golf! This is obviously one of the first Odyssey² TV commercials – if Computer Golf! was considered a system selling point, you know it has to be early. Other O2 sports games are also featured to further break down your sales resistance. 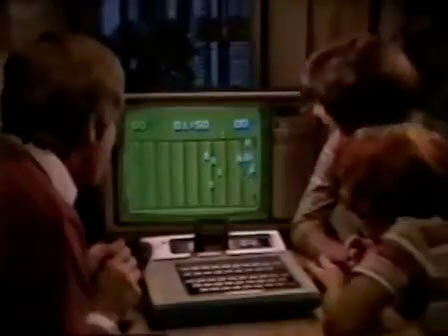 In this early commercial, a happy family learns how great it is to play football on the Odyssey² instead of just watching it. This particular clip was broadcast to promote Polk Bros., at the time a well-known Chicago retail chain. 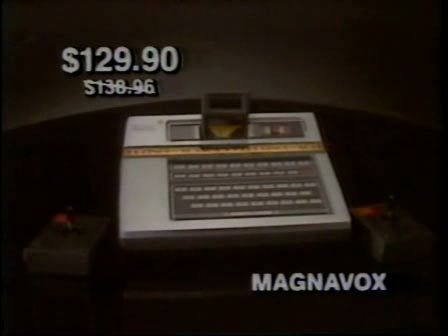 A Polk Bros. announcement appears after the regular commercial, which seems to have been produced for Magnavox. Source: YouTube. A great local TV spot for Worden's Music, a Magnavox dealer in Utica, NY. The Odyssey², with its amazing ability to display messages on screen, is featured prominently. A 1978 airdate has been claimed for this commercial. While it's possible that Magnavox dealers had advance access, my research indicates that Odyssey² wasn't officially introduced to market until January 1979, at the Winter CES. That might mean this clip first aired in 1979, not 1978. Source: YouTube. 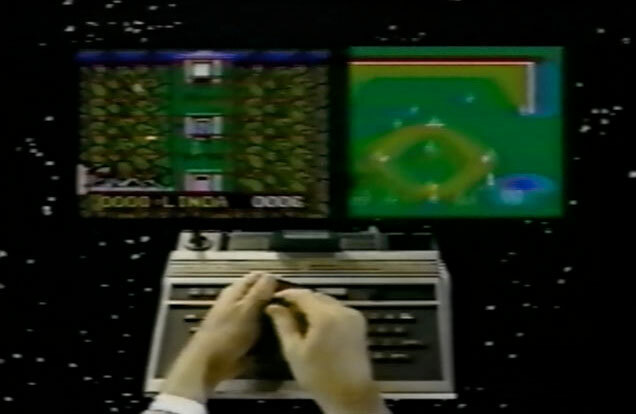 Great games can be rewarding or intensely frustrating – as our mustachioed, vest-clad friend explains in this 1979 commercial broadcast in the UK and Ireland. Unfortunately something went wrong with the videotape from which this clip was captured, so some scenes from the middle of the video are missing. 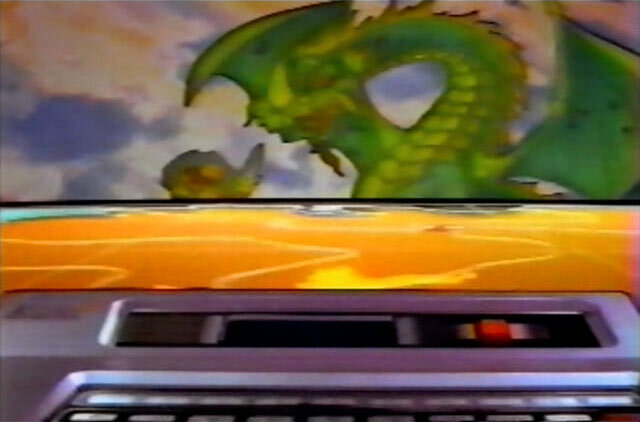 Even so, this commercial makes it obvious that Videopac was "simply years ahead." Source: YouTube. McDade's was a Chicago-area department store chain, similar to Sears. 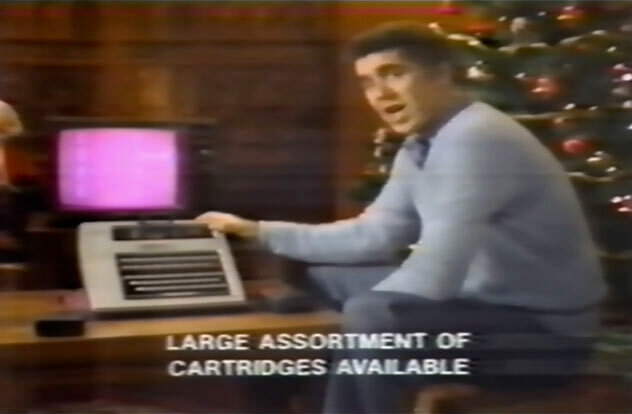 In this clip, TV character actor and future Santa Barbara star Jed Allan portrays a pleasant Eighties Man, promoting the Odyssey² as a great Christmas gift – for the low price of only $139.76! Unfortunately, this special offer expired December 17th, 1980. A wonderfully animated TV spot from the 4th quarter of 1981, narrated by Leonard Nimoy (Mr. Spock of Star Trek fame). 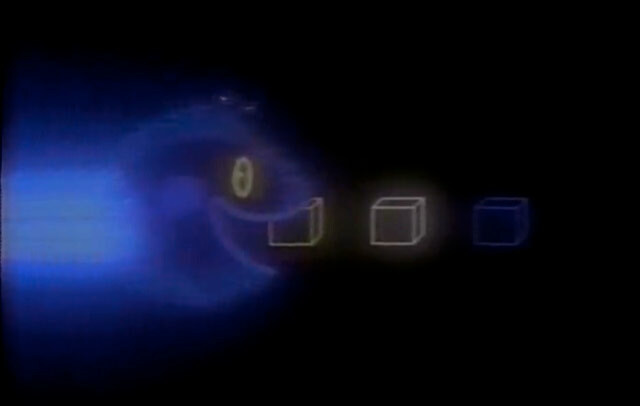 Compared to most video game commercials of the time, the production values of this clip are rather high. A commercial advertising Videopac in France. The latest game featured is Satellite Attack, (UFO! ), which places its likely airdate sometime in 1981. Join our intrepid Videopac fans as they become race car drivers, baseball players, and astronauts in a place where game graphics merge with the real world. Another clip with impressive production values. Source: YouTube. If you're hungry for fast action, munch! Join Mom, Dad, and Son as they program a myriad of mazes, munching and punching their way toward real video game excitement. This commercial probably aired around Christmas of 1981. A short clip from "The Origin of the Iceman," an episode of Spider-Man and His Amazing Friends, which originally aired on Sept. 18, 1982. This episode sees Spidey and friends battle Videoman, an electronic villain spawned from an arcade game! 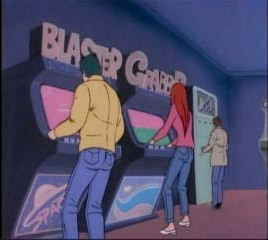 In this establishing shot of an arcade, sound effects from Odyssey² games, including K.C. Munchkin, are clearly audible. You can stream the entire episode from Netflix. 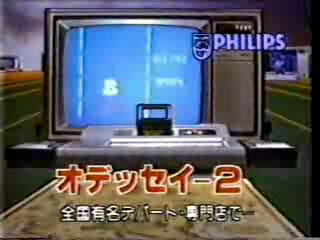 A rare clip advertising the Odyssey² in Japan. 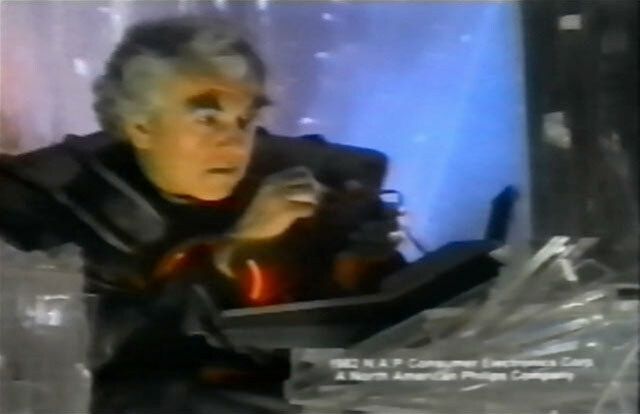 In this commercial, obviously produced on the cheap, an announcer speaks in Japanese over edited footage from the 1981 TV spot which, in America, featured Leonard Nimoy's voice. The original English words are clearly audible behind the Japanese audio. Strangely, the English voice is not Nimoy's (an early audio track, perhaps?). 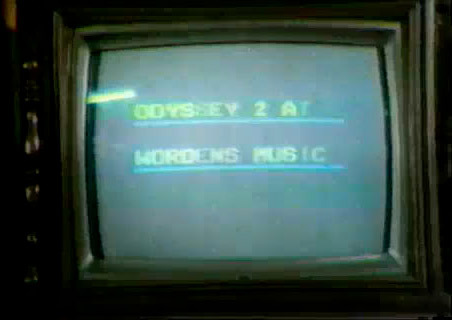 Odyssey² was introduced to Japan in Sept. 1982, so this clip most likely aired after then. 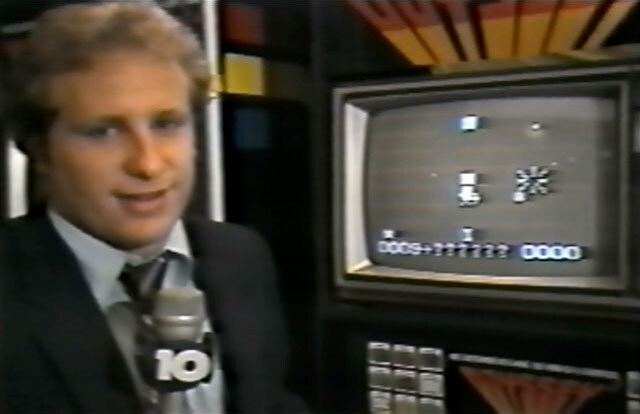 Shot for a CBS affiliate, this news report gives us a glimpse of the Pick Axe Pete Pick-Off in progress on October 9, 1982 – including the climactic moment when the contest was decided – and introduces us to the winner. Intrepid reporter Mike Graham dodges boulders and brings us the scoop. Wizard of Odyssey – The Keyboard! 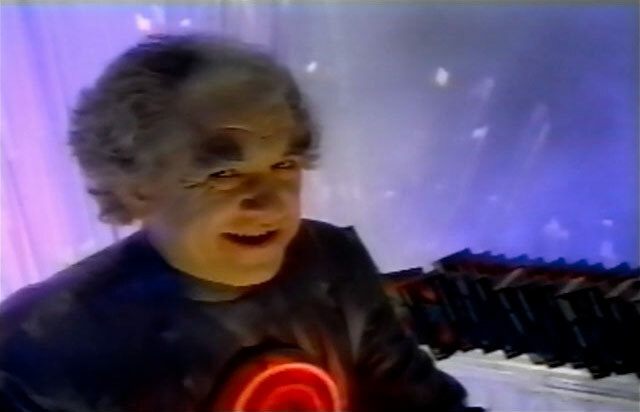 The Wizard's commercials hail from the 4th quarter of 1982. 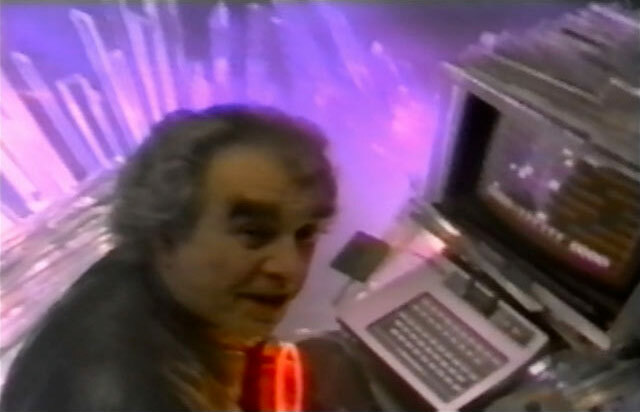 In this clip, the Wizard welcomes us into his mystical plastic-crystal cavern, showing how the keyboard is the key to greater video game challenge because it lets you type your name on the screen. What wizardry! Wizard of Odyssey – Pick Axe Pete! This time, we join the Wizard as he's up to his eyeballs in the mine shafts of Pick Axe Pete!. The Wizard's excitement grows and grows, until he grabs the elusive key and... gooooaal! Once again, it's the keyboard that ultimately provides the video game challenge. Wizard of Odyssey – The Quest for the Rings! A strange, disembodied child's voice asks the Wizard if the keyboard is really the key to greater challenge in video games. Surprise – it is! It's revealed that wizards hate to lose, so if you run into a wizard, challenge him at your own peril. Wizard of Odyssey – The Voice! Who's that talking? Why, it's THE VOICE!! The Wizard, who really seems to enjoy enunciating the word "Dratapillar," has a grand old time listening to The Voice guide him through K.C. 's Krazy Chase! – until he's told to "Hurry!" one too many times. Then things get ugly. Chicago-area department store McDade's was back in '82 with Christmastime deals on the Odyssey². Now you could get a console and two free games for only $129.90, and the sensational Voice module for just $79.90! Sadly, the free game offer expired December 12th, 1982, with the sale prices ending two days later. I just missed it! Source: FuzzyMemories.TV. 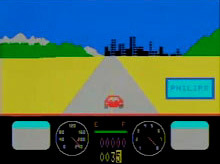 A robotic voice informs you that you are watching a Philips video game, as an animated spaceship flies out of a Videopac box and into the deadly environs of Freedom Fighters. Are your lightning reactions deadly accurate enough to survive the constant stream of alien spacecraft? Source: YouTube. 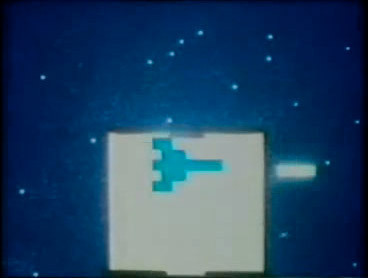 This clip is from the video Philips showed at the 1983 Consumer Electronics Show (held January 6-9, 1983) to promote the Odyssey Command Center. In this introduction, the Command Center flies through space and fires laser beams in what may be the cheesiest footage ever committed to film. The second segment of the CES promo video focuses on the new Command Center games. Doing his best Rod Serling impression, the narrator takes us through footage of the Command Center versions of Flashpoint, Pick Axe Pete, Attack of the Timelord, Baseball, and Freedom Fighters. The third segment of the CES video is all about the expandability of the Command Center. Much ado is made about the networking capabilities of the modem and the planned computer module. But just when you're starting to be impressed by all this, it's laser-beam time again. 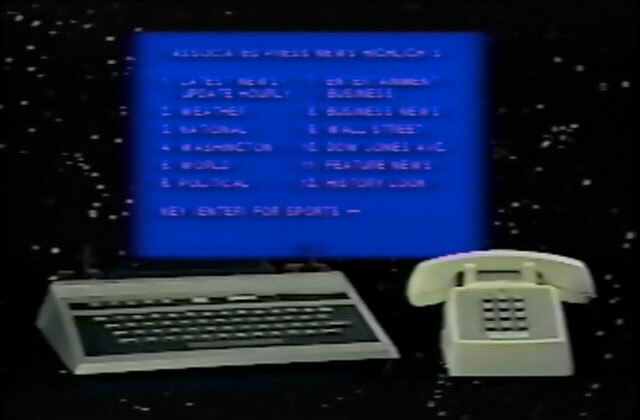 This is a brief segment of a larger clip, broadcast on PBS's Nightly Business Report in 1983. The full segment provides an overview of the CES, but does not mention Odyssey². 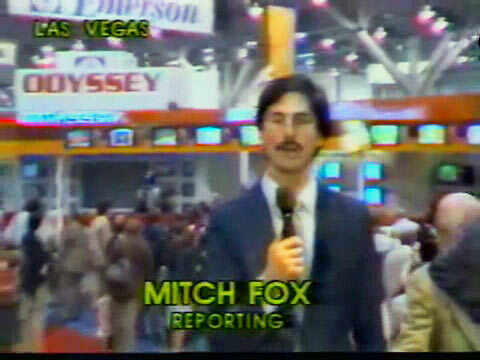 I've included the final shot of the clip here because the reporter happens to be standing in front of the Odyssey booth. I've also brightened the video to give you a clear look. If you'd like to see the entire segment (it's quite interesting), please check it out on YouTube. 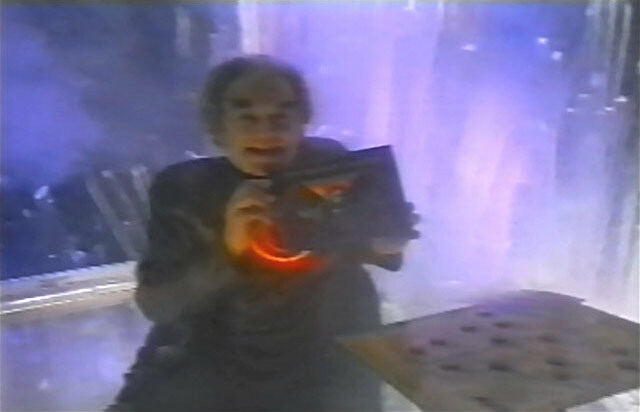 An animated TV spot for the Kellogg's Instant Win Video Game Sweepstakes, where Magnavox prizes were awarded to those lucky enough to find winning game pieces in their cereal boxes. 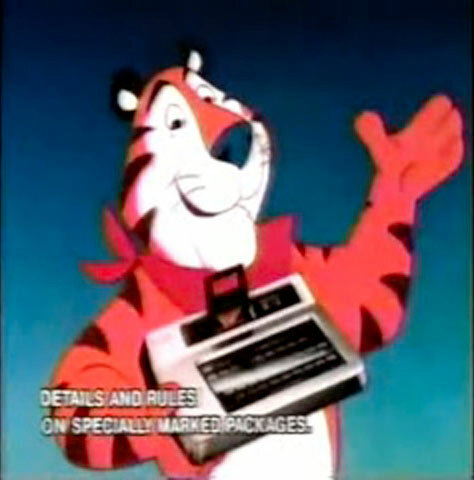 Tony the Tiger explains the rules while showing us cartoon versions of UFO and Alien Invaders. 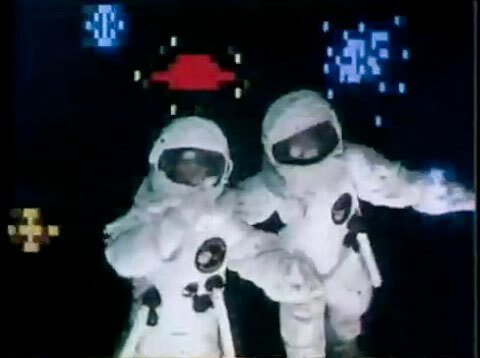 I actually remember seeing this commercial as a kid, being so excited to see "my" games on TV! Such great memories. The contest ended on April 30, 1983. Source: YouTube. Olá! This seems to be the TV commercial that introduced the Odyssey to the Brazilian market, which means it probably aired sometime in 1983. 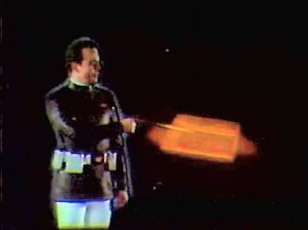 Our heroic pitchman wears Odyssey cartridges on a futuristic belt and summons consoles by shooting lasers out of his index finger, proving that '80s marketing was goofy no matter which continent produced it. Source: Odyssey Brasil. 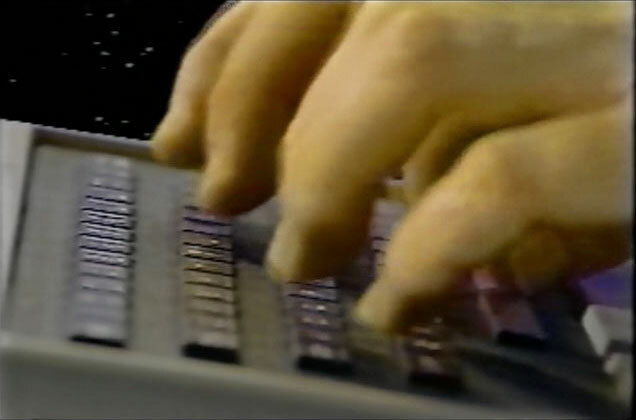 Footage shot by Jayson Hill in February, 1996, featuring the Command Center prototypes in his collection. 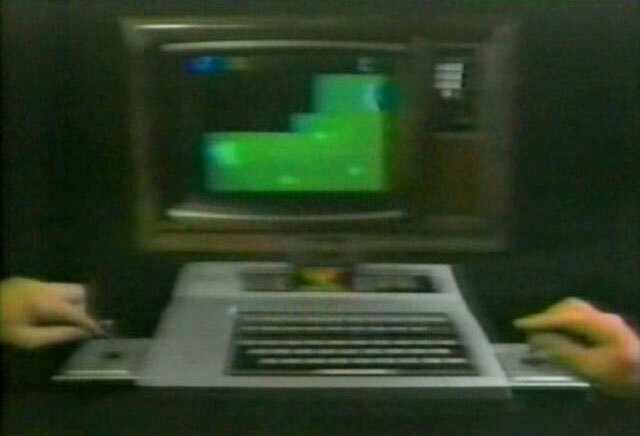 This clip shows off the hardware, including the console, joysticks, and modem. This is pretty well-produced footage, by 1996 standards – it isn't just a simple home movie. The second half of Jayson's footage focuses on games. 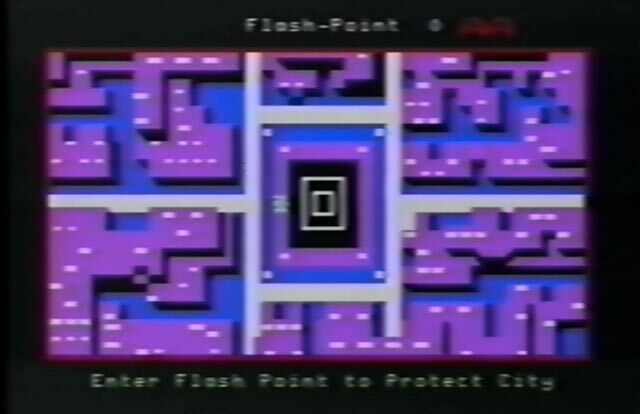 Jayson starts off by comparing the Odyssey² versions of Attack of the Timelord and Baseball to their Command Center counterparts, and then shows the Command Center exclusive game Flashpoint in action. 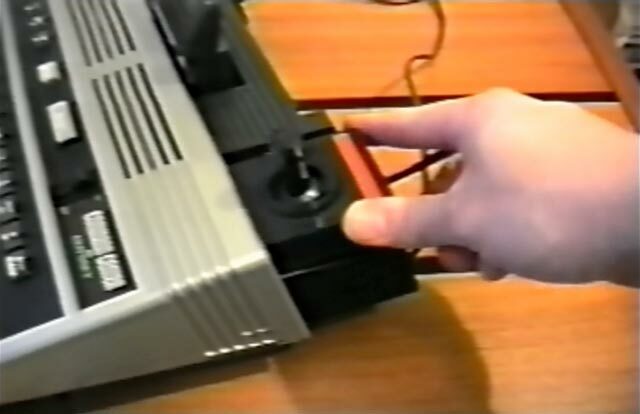 Watch what might be the rarest of all regular-release Videopac games in action. This clip was recorded by René van den Enden.